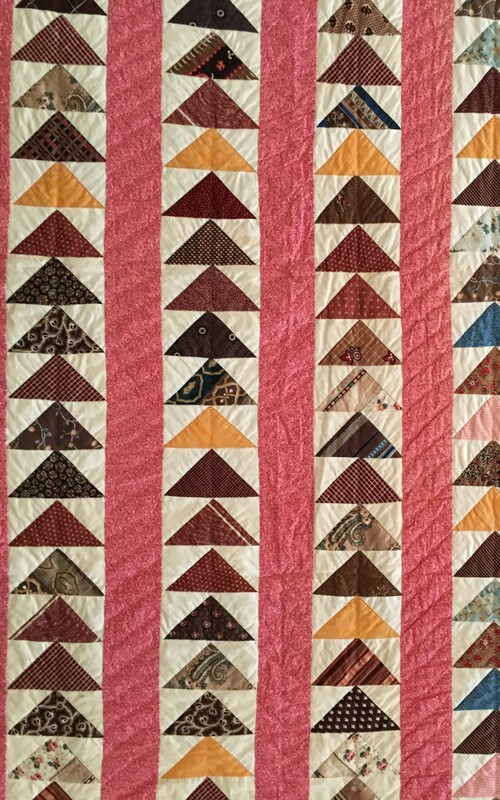 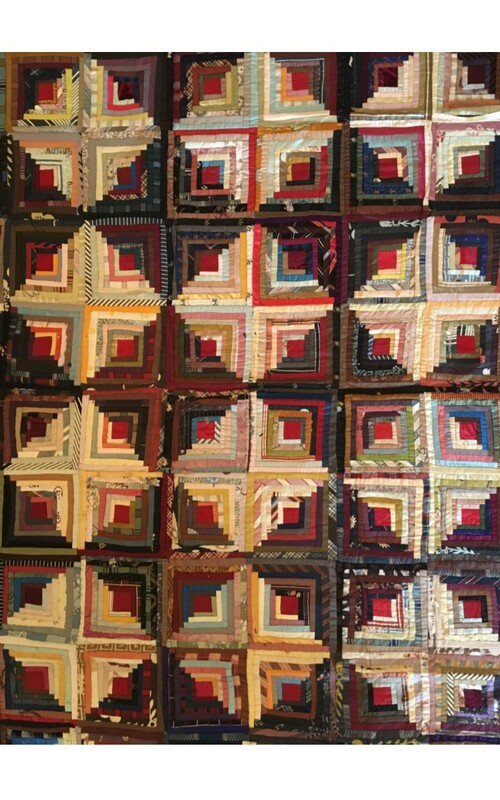 The Oysterponds Historical Society’s large collection of textiles includes an impressive group of quilts. 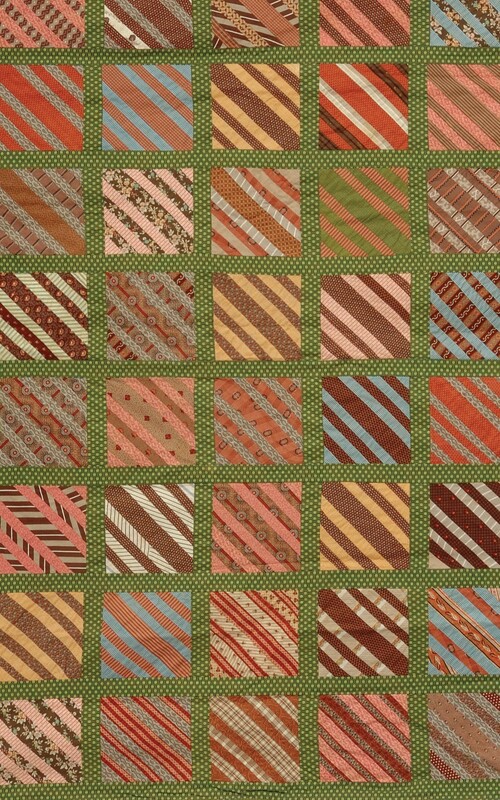 We are fortunate that in the last few years the quilt collection has been strengthened by a number of splendid new gifts. 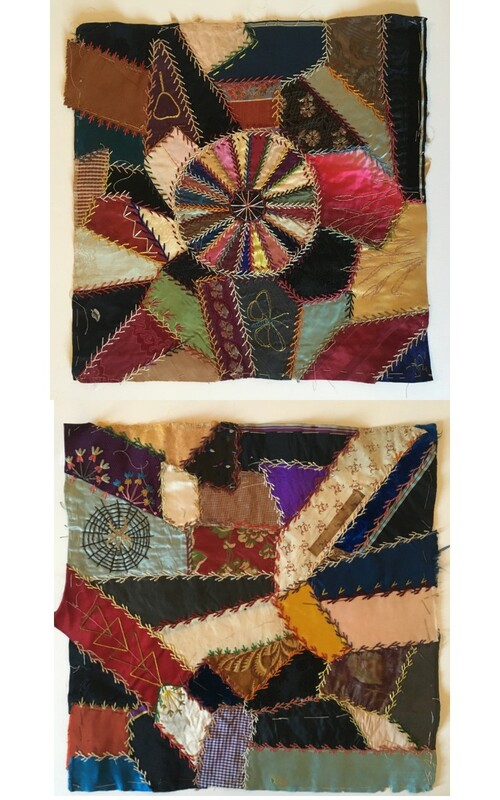 These recent additions are part of this exhibition, along with a group of quilts which have not been shown for many years. 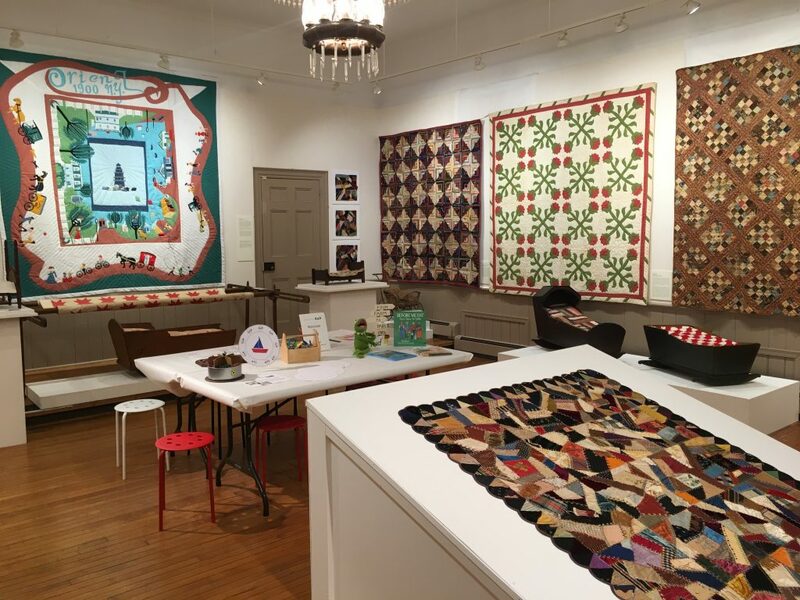 Of the new acquisitions, the very large and beautifully crafted quilt on the back wall is one of the few late-twentieth century quilts in the collection. 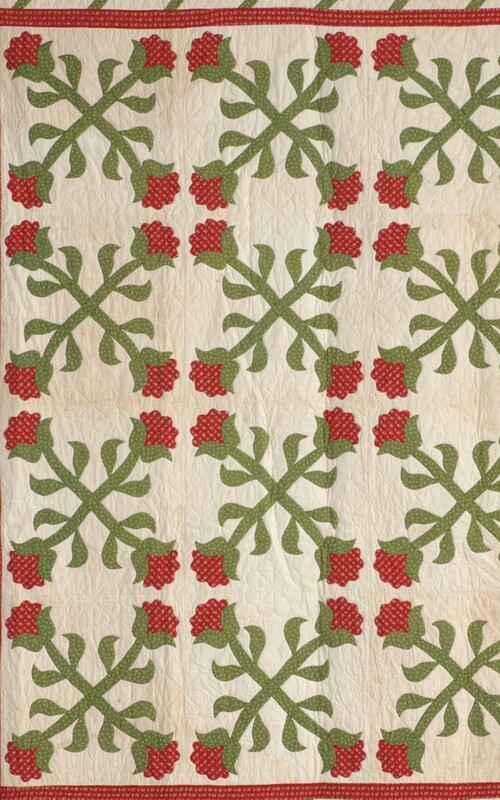 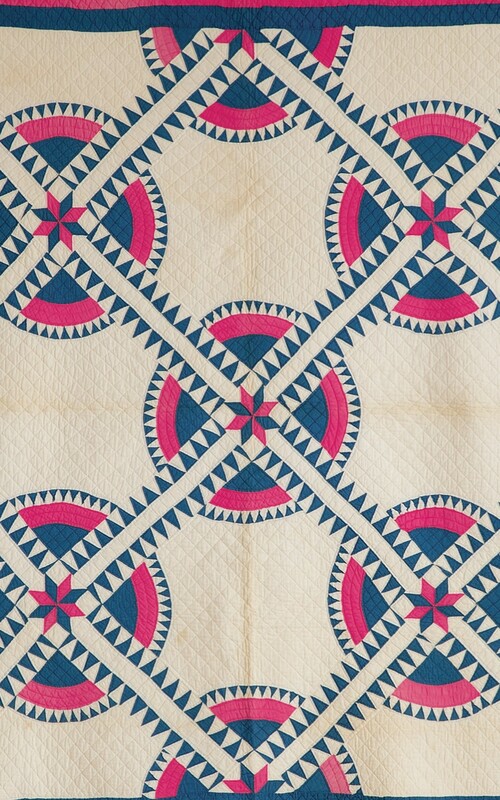 The subject of the quilt is Orient, which makes it particularly appropriate for our collection. 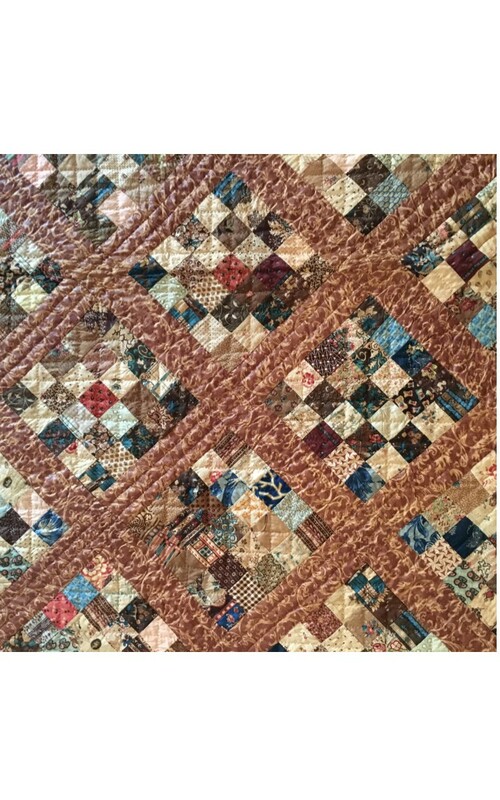 The shimmering silk log cabin quilt on the south wall was made much earlier by Mary Jane Stevenson Younie, great grandmother of the donor, a member of one of the oldest Oysterponds families. 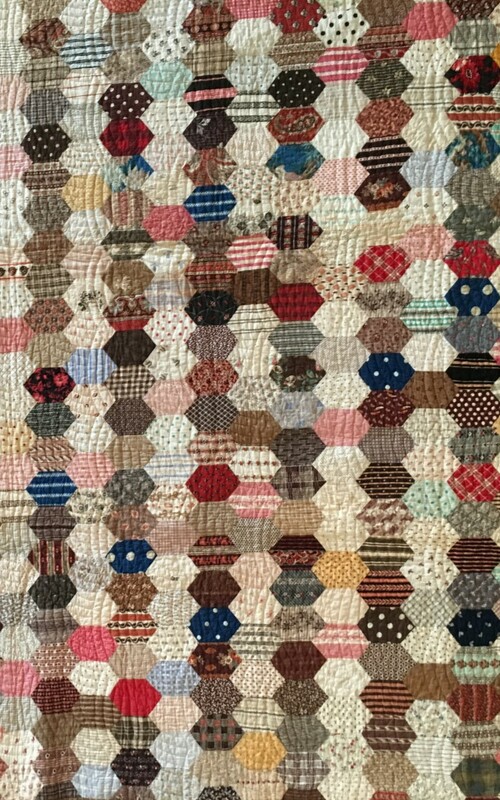 On the same wall the patchwork quilt with an array of early printed cottons and brown sashing is in astonishingly pristine condition for a textile that is more than 150 years old. 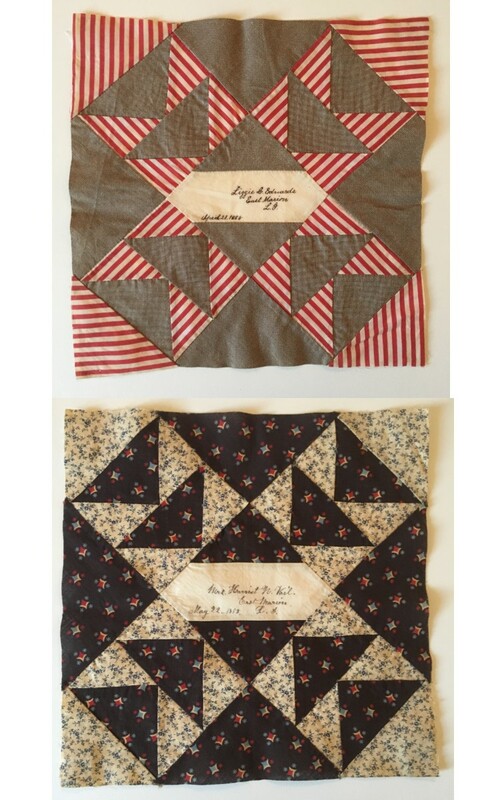 Those three quilts are among the recent gifts, as are several that are displayed in the cradles and on the doll beds. 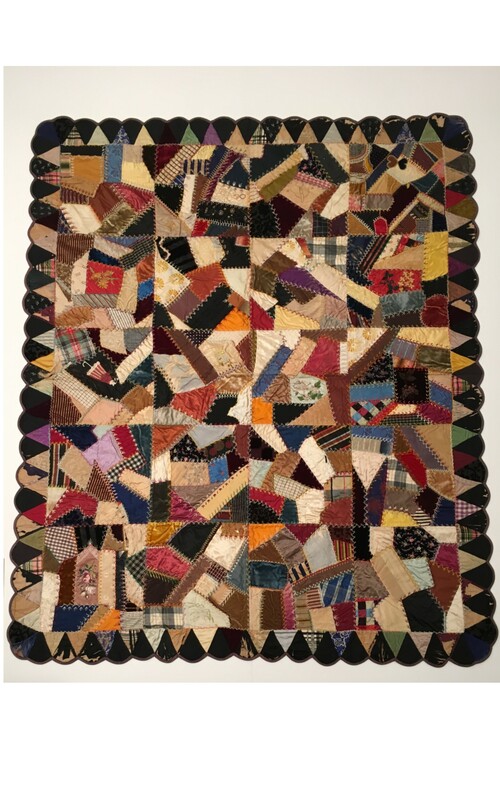 The beautiful and colorful crazy quilt has perhaps never before been on view, nor have many of the quilt squares which, for reasons unknown, were not made into finished quilts. 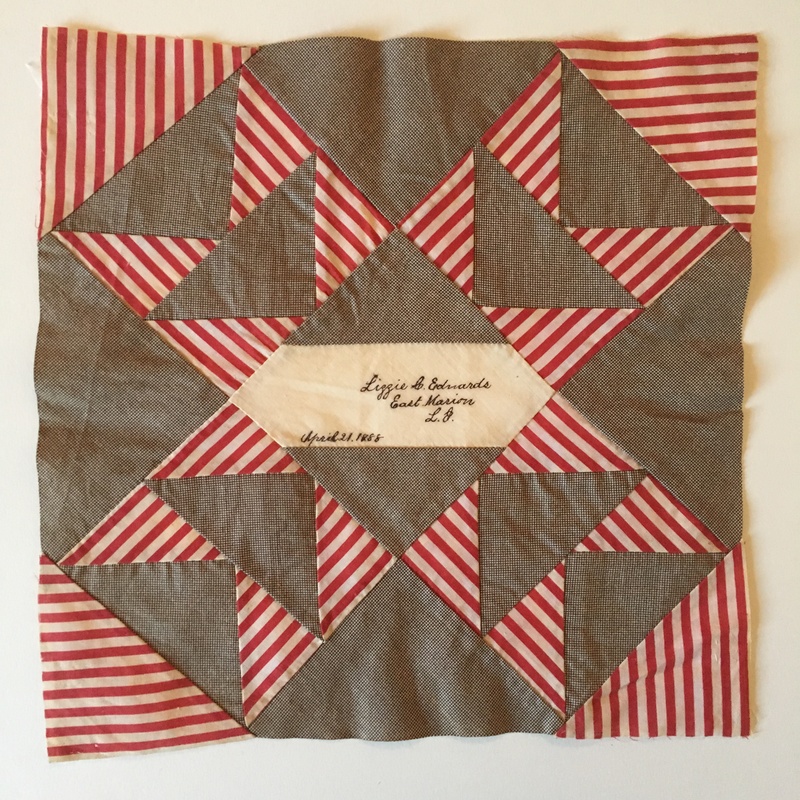 Most of the others, including some of the finest quilts in the collection, have not been shown for nearly fifteen years. 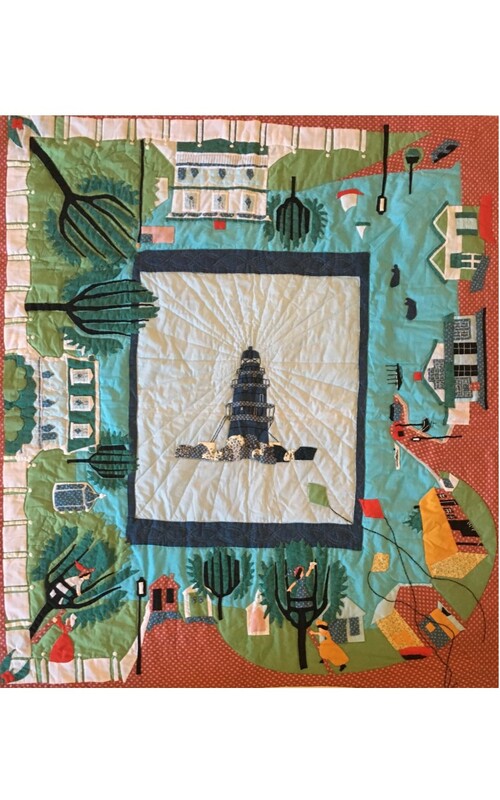 We are grateful to the donors of the quilts and to the following who in many ways have made this exhibition possible: Taz Smith, Stephanie Terry Alford, Priscilla Bull, Suzanne Egan, Jovanny Eusebio, Amy Folk, John Holzapfel, Anne Hopkins, Bob Hulsmann, Sarah Olmstead, Colin Palmer, Joe Papa, Linda Sabatino, Cheryl Tortoriello, Ruth Tuthill, and Peter Werden.